"It has the effect of a healing balm and I cannot recommend it too highly for those who require restoration from life’s vicissitudes". Ukrainian composer Valentin Silvestrov (b. 1937) is an important contemporary voice in vocal music. 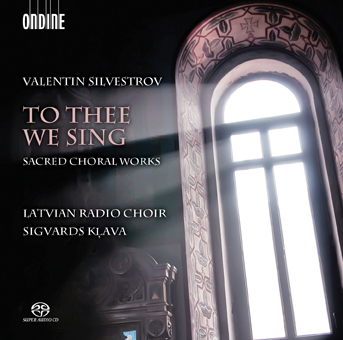 In this new release Silvestrov's hauntingly beautiful vocal works are performed by the Latvian Radio Choir under their director Sigvards Kļava. Silvestrov imbues with his own unique sound and bursts of surprising harmonic moves. Silvestrov's compositions are invested with the composer's own unique personality, musical sensibility and sense of beauty.